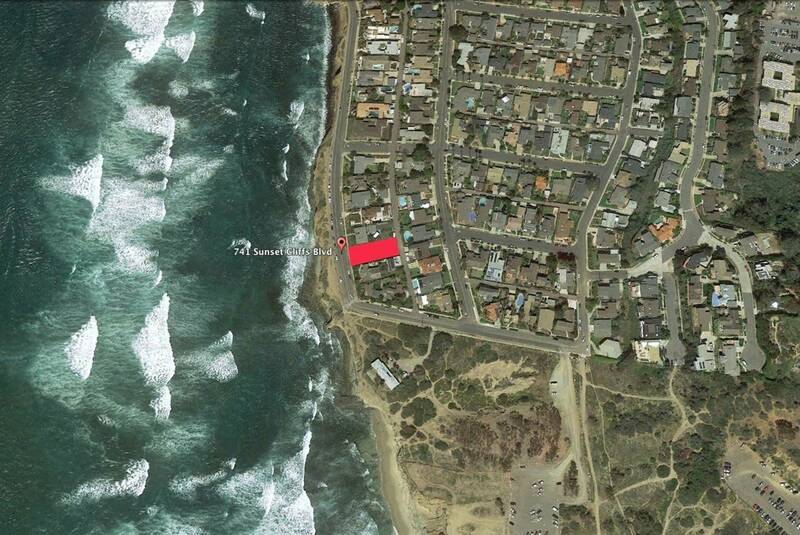 Welcome to 741 Sunset Cliffs Blvd Lot #15 – a rare opportunity to purchase an ocean front vacant lot in the South end of Sunset Cliffs. The lot sits atop the bluffs and boasts approximately 66 linear feet of ocean frontage. Perfect for a home of up to 5,876 sq ft including a guest suite and multi-car garage. From this ocean front property you will be able to enjoy all that Point Loma and Sunset Cliffs have to offer while enjoying white-water vistas and breathtaking sunsets over the Pacific Ocean. **This lot cannot be split.